Selected Villas for rent near Malli’s Seafood Restaurant (Sri Lanka) - Contact us now! 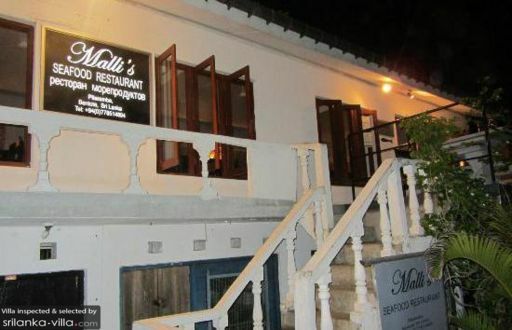 Malli’s Seafood Restaurant proves to be a delightful and quirky find. The restaurant sits on the platform of Bentota railway station, and provides diners with a view of the scenic surroundings. The eatery is well-decorated with ornate furnishings, and offers guests with an array of tasty seafood dishes.